Even the best designed and operated HVAC systems require ongoing maintenance and service to sustain performance. After the project is installed, USA Mechanical & Energy Services, LLC continues the relationship with ongoing scheduled maintenance & support for all your mechanical systems. Our highly trained technicians ensure that your repairs are done promptly and correctly the first time. We provide planned periodic maintenance of HVAC equipment at the manufacturer’s recommended intervals. Our service will reduce operating costs and extend the life of your equipment. USA Mechanical & Energy Services offers 24/7/365 HVAC Service & Maintenance. When it is time for your HVAC equipment to be replaced or upgraded at the end of its useful life, we will put together a plan that will ensure a seamless replacement without disruption of your business or facility. 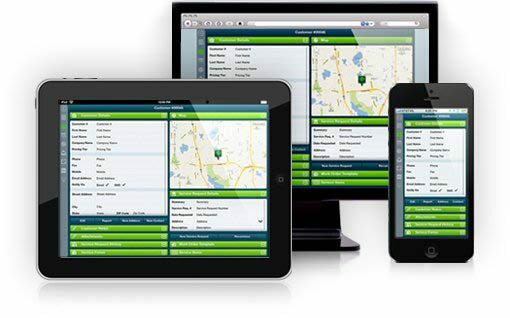 We use RazorSync™ mobile field service software that allows us to schedule and track your service call. Our technicians use mobile hand held cellular devices that help streamline and manage their tasks. They can also efficiently record their description of services. Our customers know when one of our technicians is en-route, onsite and complete with the service call. We strive in communicating with our customers for complete transparency and accountability. All service work history, invoicing and quotes are recorded and stored for access on a cloud-based customer portal.